Working from home – isn’t that the ultimate dream? When you have an illness like MS, that dream often comes with a hard edge. Not everyone is able to be an entrepreneur, and so working from home can become a challenge. I consider myself very fortunate that I work for an organization that is open to options like working from home, especially for people with health challenges like mine. That being said, it is not always wine and roses! But it can and does work well, and allows me to retain a standard of quality of life that I treasure. When my MS took me to a point where I could no longer do my shift-working job, I went to day work. I was lucky – I ended up in my dream job as a “front-lines” severe weather specialist dealing with various clients. 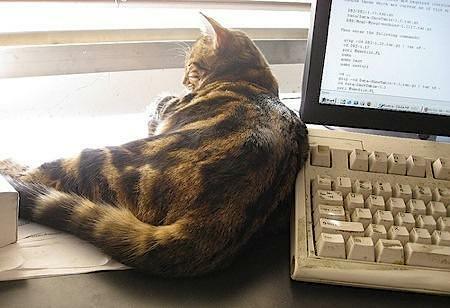 Then, when my MS developed more complications, I had to leave my dream job and began working from home. While I have always managed to find my work interesting – I know that I had to give up a part of me by leaving that dream job behind. There’s one edge. Do you like working alone? Or do you need regular face-to-face interaction with people? Are you disciplined enough to work from home? Or do you end up getting distracted from your work by kids, pets, household chores? What are the benefits of working from home for you and for your manager? Do you have the space/ability to work from home? What is needed? What is your company’s policy around that? These are just a very few of the types of questions you need to ask yourself. Each situation is unique and will need thorough research and investigation for your own personal needs. Wow, eh? None of it was maliciously intended…but it sure comes across negatively, eh? Another hard edge. Working from home is a not always a choice – but if it is an option for you, it needs significant thought and work ta actually make it successful. It needs honesty, trust, and a willingness on both sides (yours and your managers) to make it a successful arrangement. It takes teamwork. Working from home as a health management technique can work well – you just have to find the way that is most beneficial for you. Next Next post: Happy 2014! Time to re-assess and re-new! Thank you for reblogging my post…seems we all have similar experiences when we “work from home”…I do not have MS, but I have neurological disease called Migraine which includes, strange brain confusion sometimes, MAV (migraine associated vertigo) and also severe headaches.